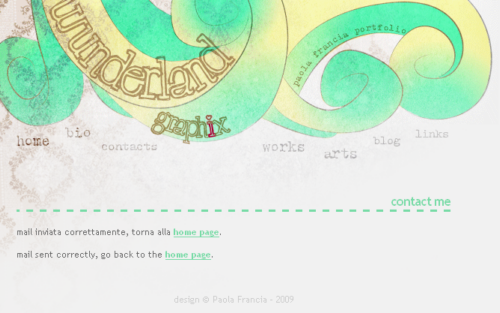 A wonderful example of how a font of mine has been put to use can be seen at Wunderland Graphix, the portfolio site of Paola Francia. She uses LT Chickenhawk to create her lovely and creative header logo and enter logo. Click on the screen cap to visit her site, which is available in English and Italian.